Syosset, NY Long Island Industrial, a leading owner and manager of industrial, office, mixed-use, and R&D properties in Nassau and Suffolk counties, has rebranded as Milvado Property Group. As part of this rebranding effort, the company has launched a new website and introduced a new corporate identity. The rebranding coincides with positive changes already underway under a new management team, concurrent with an ownership structure change. These include a string of leasing successes and capital improvements throughout the company’s 3.6 million s/f, 38-building portfolio. In the last 18 months, new tenants have leased over 400,000 s/f throughout Milvado’s portfolio. Over that same time period, renewals and expansions accounted for nearly 900,000 s/f of lease signings. New management, in place since mid-2016 and now operating under the Milvado Property Group name, has invested over $14 million in capital infrastructure and tenant improvement projects. 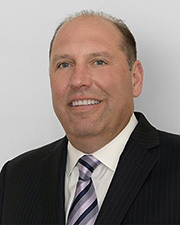 “We adopted the name Milvado, which signifies being in a league of one’s own, to communicate our company-wide, singular goal: to provide an unparalleled level of services to industrial tenants on Long Island,” said Gus Gollisz, director of asset management at Milvado Property Group. Equally important, Milvado’s portfolio is strategically located adjacent to a vast network of roadways, including the Long Island Expressway, Northern State and Wantagh Parkways, the Southern State Parkway, and Routes 135, 106 and 107, with close proximity to the Long Island Railroad.